Blog Quick Quotes: Mother's Day Inspiration with Connie! Mother's Day Inspiration with Connie! 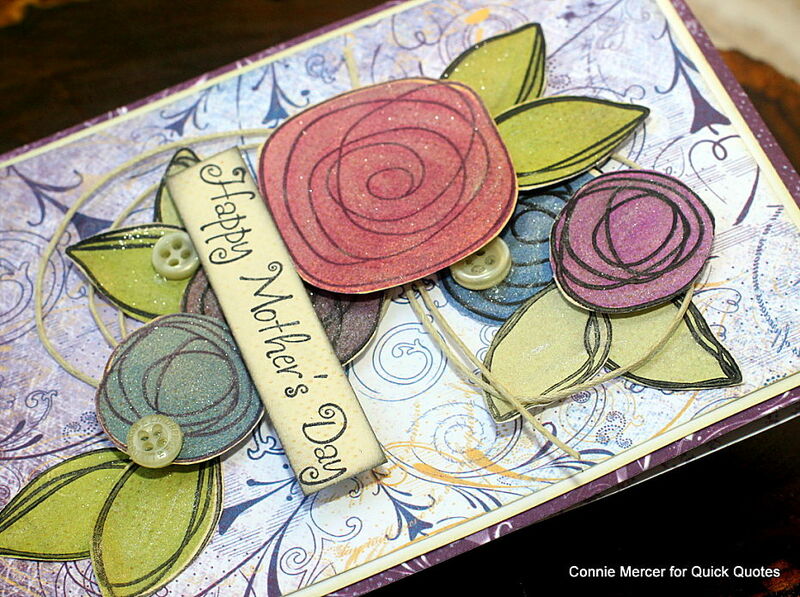 Hi, Connie her with a Mother's Day card using the new Mulberry Collection by Quick Quotes. 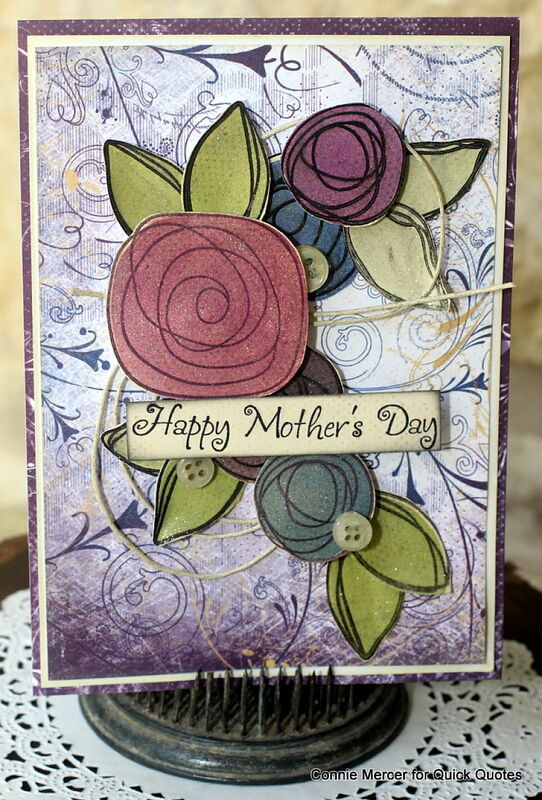 I created the card front using stamps and PowderPuff Chalk Inks. Love all the new inks and the way they match the new paper collections perfect. The flowers are stamped with PowderPuff Chalk Inks and then some sparkle was added over the flower part with Wink of Stella. Buttons were also added along with twine. This is an easy card to make and so pretty with the Mulberry Collection papers. PowderPuff Chalk Inks: Midnight Confessions, Antique Linen, Green with Envy, Plum, Royal Blue, Berry Jam and Light Moss. Beautiful card. At first glance I thought the flowers were demential. Wonderful stamps and in.